I bet if you looked in the mirror you wouldn’t say to yourself, “I look a little fungusy today.” More than likely, you don’t really know what it looks like to be fungusy. Truth be told, you can’t really look like fungus (or a mushroom for that matter), but there is a good chance that fungus, to some degree or another, is compromising your health. Don’t get too wigged out when I use the word fungus. We are all covered in fungal communities; they take up residence on us and within us, forming tight-knit colonies according to their kind. Many of these fungi are harmless, and a good number are quite necessary for health. However, when the bad guys move into the neighborhood, things get funky. Before I go on, let’s first take a quick look at the difference between fungi and bacteria. Both are minute organisms that are found in almost every ecosystem on earth, and both can associate with other groups of living things. As mentioned above, they can either be harmless and necessary in biological processes, or they can be highly dangerous. The main difference between fungi and bacteria is their cellular structure. Bacteria are prokaryotic organisms, meaning they do not possess a nucleus, while fungi are eukaryotic organisms, meaning they have a very well-defined nucleus. While both organisms have cell walls, what makes up these cell walls is different. Fungi, for the most part, have long hollow tubes that form networks (hyphae). Each of these tubes is bordered by a strong wall made from chitin — the same substance that forms the exoskeletons of insects. Hyphae grow from their tips and reach out in a branching manner to form a network called mycelium. As the mycelium grows, it produces fruiting bodies and other structures that are rich with reproductive spores. Bacteria multiply by binary fission when parent bacterium divide to make the same sized daughter cells. Fungi reproduce both sexually and asexually by a process of branching fragmentation and budding (as in the case of yeast). Fungi are scavengers, feeding off dead stuff — kind of like the buzzards you see cleaning up roadkill along the highway. Bacteria, on the other hand, are a little more sophisticated in the fact that they can actually manufacture their own food. There are several fungal infections that result from different types of fungi entering the body. For instance, Aspergillus fungi can be inhaled through the mouth or nose and can cause fever, cough and wheezing. In very severe instances, this fungal infection can spread to other organs including the brain, skin and bones. Cryptococcus neoformans is found in the soil or in bird droppings. This fungus also enters the body through the mouth or nostrils and can cause a lung infection resulting in a cough or chest pain. Histoplasma capsulatum is a fungus that is commonly found in eastern and central United States in soil that contains bird and bat feces. When spores are disturbed, they can be inhaled and can cause flu-like symptoms, body aches, fever and cough. A fungus overgrowth may case a range of health complaints. Yeast, also known as Candida albicans, is a type of fungus that is present in all humans. The fungus is found on both the skin and mucus membranes. In small amounts, it is harmless to the body. However, when the growth of yeast increases dramatically, the results can be absolutely devastating. Did you know that yeast overgrowth is considered to be one of the most prevalent, yet unrecognized conditions to man? When you have a healthy body, the yeast is kept under control by the healthy bacteria within your body. However, medical antibiotics — and those found in much of the meat we eat — will upset the balance of your friendly bacteria. Since antibiotics are nonselective, they work to weaken the good bacteria that keep yeast in check. The yeast then begins to flourish, and before you know it, it’s completely out of control. Antibiotics are not the only contributor to the upset of your healthy bacteria; cortisone, some birth control pills and certain drugs have an effect on it, as well. Once the yeast has overgrown in your body, it thrives on sugar, carbohydrates, moldy foods, fermented foods and vinegar. If you’ve ever noticed that your cravings for any of these are very strong, chances are, you have a yeast overgrowth in your body. When the level of yeast is elevated in your body, toxins are released into your bloodstream in high amounts. These waste products have a profound effect on your well-being and are linked to many health problems. The effects of yeast overgrowth will worsen over time, and will seriously compromise physical, mental and emotional well-being. According to researchers, hidden, deviant fungus may be the reason for any number of seemingly unrelated health complaints. Just another reason why it is so important to not look at symptoms in isolation. Very often, you will find that two seemingly unrelated things, like muscle twitches and frequent bladder infections, are the result of yeast gone wild. Here are 32 signs that yeast may have moved in and is slowly taking over your body. If you suffer frequently from more than three of these, it may be time to learn more about yeast. Yeast overgrowth is one of the most difficult health issues to detect because of the small amount that is present in everyone. The best way to determine if you have yeast overgrowth is by taking a look at your lifestyle and diet. Do you crave sweets and carbohydrates, experience constant illness, have a mental illness that doesn’t respond to medication, or generally feel “unwell?” Chances are you’re experiencing yeast overgrowth and need to make some changes to your diet. You can also try the spit test. Yeah, we know, it sounds a little gross, but a spit test offers a really good analysis of what is going on inside your body and may show signs of a yeast overgrowth. The best time to take this test is as soon as you wake up in the morning, before you even get out of bed. Gather as much spit as possible in your mouth. Spit into a clear glass with room temperature filtered water. The saliva will float at first. Watch to see if there are thin projections extending downward into the water after 15 minutes or so. They may look like hairs or strings. If this happens you may have a candida overgrowth problem. If your saliva is very cloudy and sinks to the bottom within a few minutes, or parts of the saliva slowly sink, yeast overgrowth is a possibility. The particles are yeast colonies which band together. If your spit is still floating after about an hour, it is likely that your yeast is under control. Candida can be linked to serious health problems. Once this fungus begins to thrive in the body, general health will spiral downward. The cravings for sugar and other foods that nourish the yeast will get stronger, and on and on it will go. Eventually, the immune system becomes so weak that the symptoms are no longer tolerable. Often physicians will prescribe antibiotics to treat the symptoms, thus killing off the last of any friendly bacteria. When yeast is in this advanced state, depression and suicidal thoughts are very common. According to the National Candida Center, if you have symptoms and your spit test is positive for yeast, it is a pretty good indication that you have a candida overgrowth problem. The first step in addressing the problem is to adjust your diet. 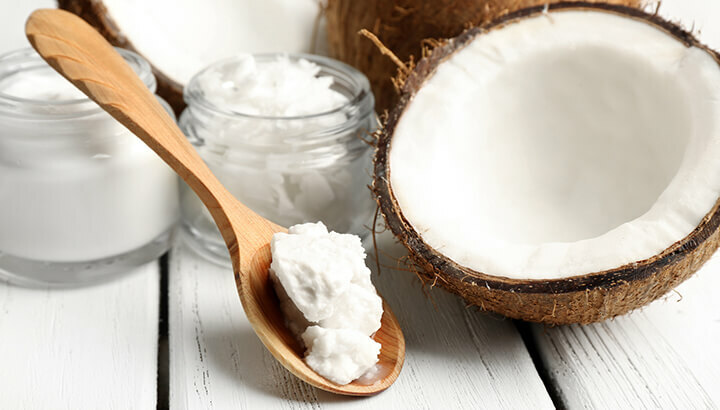 The anti-fungal properties of coconut oil will kill off fungus overgrowth. This tropical treasure has strong antifungal properties, which will kill the bad bacteria and support immune system functioning. Replace your other cooking oils with coconut oil and add liberally to foods or your coffee. Aim for two tablespoons daily to start. Garlic also has strong antifungal properties and will destroy unfriendly bacteria while encouraging the growth of good bacteria. It detoxifies and encourages healthy liver and colon functioning. Use garlic liberally to jazz up your food or chew freely on two to three cloves per day. Note: Raw garlic is far superior in its efficacy. Eat fresh seaweed to flush toxins and fungus from the body. 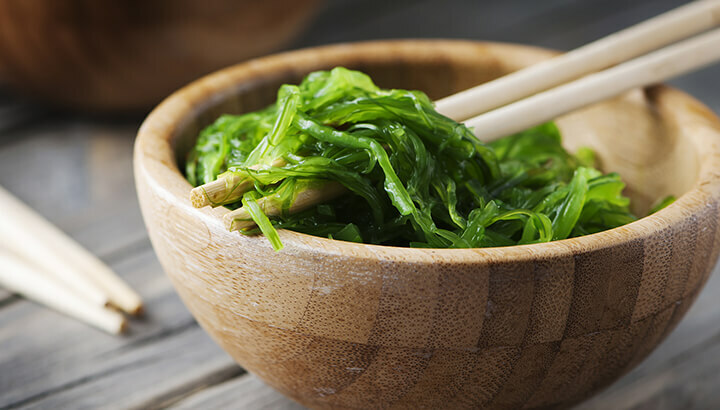 It may not be too appealing to look at, but seaweed is a highly nutrient-dense food that can fight against yeast overgrowth. Many times, people with yeast overgrowth suffer from hyperthyroidism, and seaweed is rich in iodine, which helps balance the thyroid gland. In addition, seaweed is a detoxifier and helps to flush toxins out of the body while cleaning the digestive system. Eat fresh seaweed or take high-quality kelp supplements for best results. These tiny seeds are packed with omega-3 fatty acids, which have antiviral and antifungal properties. They help to reduce the inflammation caused by yeast and fight depression as well. Add pumpkin seeds to your cereal, salads or even eat them as a tasty snack. Ginger is a powerful detoxifier that increases circulation and flushes toxins out of the liver while supporting the immune system. It helps reduce intestinal gas and soothes inflammation from yeast overgrowth. Make ginger tea by grating a 1-inch piece of ginger root and adding it to two cups of boiling water and a fresh slice of lemon. Once you get your diet under control and introduce foods that fight the bad bacteria, you can consider taking a high-quality probiotic or eating a little bit of fermented food daily to keep your healthy bacteria count in good order. Exercising daily and learning how to manage stress in your life will also help to keep fungus from taking over your body. Hey Buddy!, I found this information for you: "32 Signs Fungus Might Be Taking Over Your Body". Here is the website link: https://www.thealternativedaily.com/yeast-overgrowth/. Thank you.